The tech giant has to walk a fine line between appealing to both fashion and technology customers, analysts say. NEW YORK ( TheStreet) -- True to its famous credo, Apple (AAPL - Get Report) is thinking different when it comes to the marketing of its latest potential blockbuster product the Apple Watch. Apple's challenge with its smartwatch is that it needs to appeal to both fashion and technology shoppers at the same time, said Ken Segall, who worked on the Apple marketing account in the 1990s as creative director for advertising agency TBWA/Chiat/Day. "[Apple has] never had a product that looks anything like this and the world has never seen anything that looks like this," Segall said. 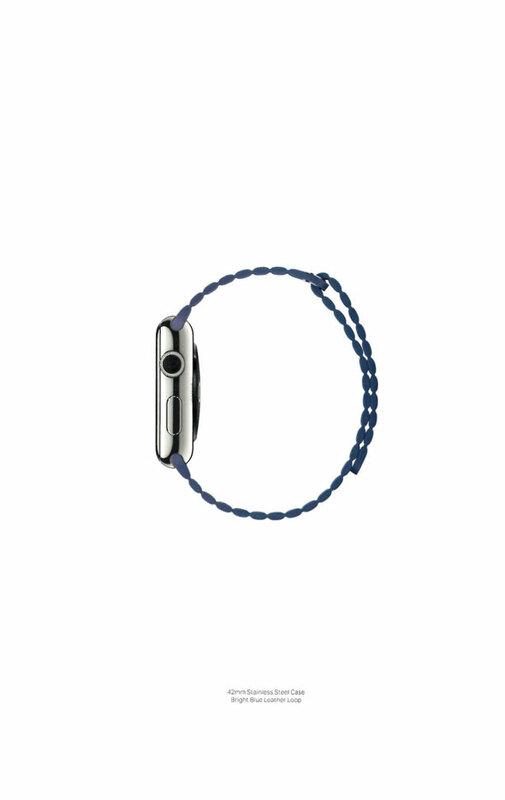 Apple is taking a new marketing approach with the Apple Watch. The first sign of this appeared in a huge 12-page spread for the device in the March issue of Vogue that hit newsstands last week. The March issue is traditionally the one where European fashion houses introduce their spring collections. 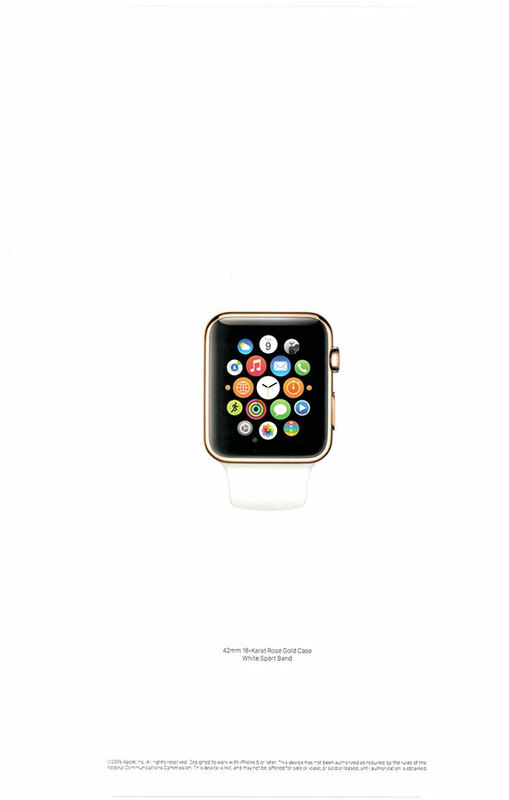 Apple's ad features a series of full-page, color close-ups of the Apple Watch and its various components, with very little text included. Examples of these ads are below. According to Vogue's published ad rates, Apple likely paid just over $2 million for its Apple Watch advertising spread, excluding discounts. Apple did not respond to requests for comment for this story. "By showcasing the sleek, gorgeous design, in fashion-forward media like Vogue, Apple is generating lust amongst trend-setting fashionistas," said Adam Tucker, president of Ogilvy & Mather Advertising, New York. "Establishing the watch as a fashion icon first expands the potential audience and enables a price premium." But the iPhone maker has to be careful to promote the device's functionality and not just its fashion appeal, according to Brian Honigman, a New York-based marketing consultant who has done content marketing work for Dell, NewsCred and other tech companies. "They really want to stay away from what happened with Google Glass," he said, referring to Google's (GOOG - Get Report) failed foray into wearable computing. "There was a great concept there, and it was a really interesting way to apply technology to a person's everyday life, but the issue with Google Glass was that it came off as too nerdy, too niche. It was meant for kind of a tech audience as opposed to the average person." Honigman pointed out that Google Glass received a 12-page editorial feature in Vogue's September 2013 issue, yet still failed to find a wide audience. In many ways, the Apple Watch launch mirrors the challenges Apple faced in 2010, when it released the original iPad as an entirely new product in an unproven market. Not only did the company have to convince shoppers that they needed an iPad, but it had to convince them that they needed a tablet in the first place. Apple has sold more than 237 million iPads worldwide as of the end of last year, but that success didn't come cheap. Over the years, its marketing expense has sharply risen. According to Apple's 2010 regulatory filing, the company spent a total of $691 million on advertising that year, with $346.6 million going to promote both its new iPad product as well as the then-new iPhone 4. The company's total marketing spend jumped to $933 million in 2011, before eclipsing $1 billion in 2012 and rising to $1.2 billion in 2013, the last year for which full-year figures are available. Still, Apple spends quite modestly on marketing and advertising when compared to its rivals, particularly Samsung, which spent a whopping $14 billion on marketing in 2013. According to Reuters, Apple spends less than 1% of its sales on marketing, while Samsung spends upwards of 5% (for comparison, GM spends about 3.5% of its sales on marketing). Apple's marketing expenditures around the mobile segment have remained fairly steady over the years. According to a recent report from market research firm Kantar Media, Apple spent $350.9 million on marketing for its wireless products and services in 2013, and $225.6 million in the first nine months of 2014. Given the importance being placed on the success of the Apple Watch, it seems reasonable to expect the company will spend at least as much on its roll out and promotion as it did on the iPad and iPhone. Apple has shown in the past that it is willing to spend big on key initiatives. For instance, the company reportedly spent more than $100 million to acquire and promote the U2 album Songs of Innocence that was released exclusively via iTunes in September 2014. That promotion turned out to be a big disaster, however, when users objected to having the album automatically pushed out to their music libraries, and Apple had to create a tool for users to easily delete it. Not that cost should worry Apple. As of Q4 2014, the company had roughly $178 billion in cash on hand.